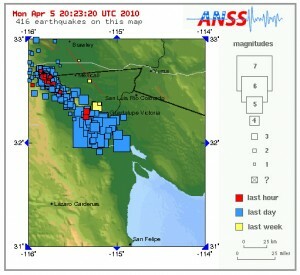 Had a big (7.2) earthquake only 55 miles away yesterday. That’s been followed by a host of aftershocks…and today 40MPH winds. My rear fence is really hurting again. I don’t expect the older tarp to last the night on the carport. USGS maps of quakes near us from this afternoon. Checking the live map now it looks like it’s up to 533.